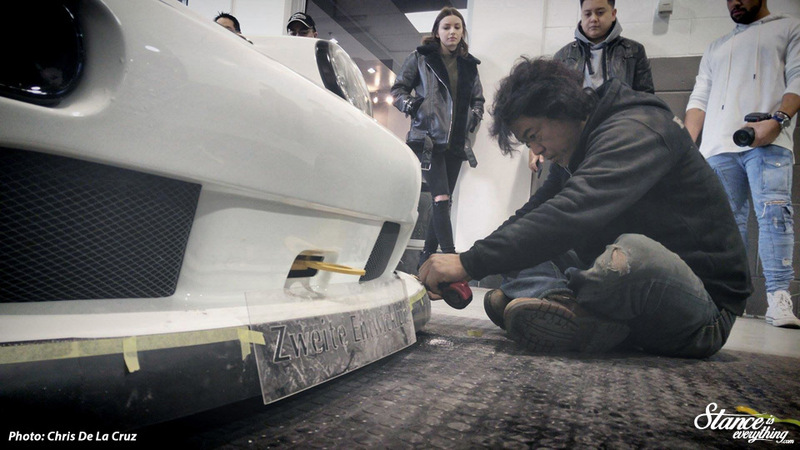 The rise in popularity of Rauh Welt Begriff, and its creator Nakai-san, has been interesting to watch. Introduced broadly to North America in late 2008, the RWB aesthetic instantly had people talking. Some were, and still are, hopping mad about the cars. Others like myself enjoyed what we saw and a third group of skeptics observed with quiet curiosity. Like many my first introduction to the ‘Rough World’ ethos came via the un-apologetically raw Stella Artios. 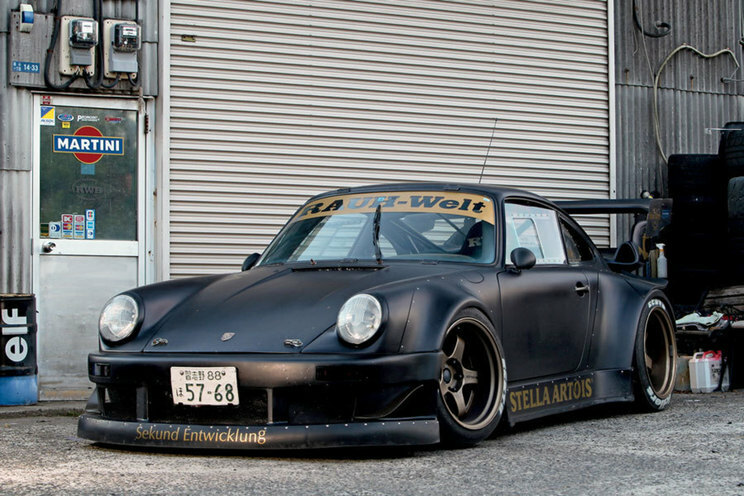 The literal street sweeping stance, combined with matte black paint and gold brake dust caked Work wheels remains, in this author’s eyes, the best embodiment of RWB ever. It wasn’t prim, it wasn’t proper, and it damn sure wasn’t polished. It was a street car that had the attitude of a track car. The cars that followed through to about 2010 were more of the same. The ‘golden era’ RWB cars perfectly represented what early articles about RWB conveyed. Individuality sprinkled with an unwavering sense of defiance and a desire to be driven. By 2011 I still hadn’t seen one in person, but every time I saw one online I could smell raw fuel and hear the sounds of stones hitting the under carriage while carving through a back road. Sure the motors in nearly all of them are stock (Note: Christian Coujin has six none of which are mechanically stock) but their image, combined with brief glimpses of the Idlers endurance race, suggested that these cars were driven to, and often passed, their limit with some regularity. Since at this time the cars were quite a distance away, they were shrouded in secrecy by location that helped with their fame and image. The fact they couldn’t easily be accessed gave them an intangible presence through media. I have no shame in admitting that I fan boyed a little when I saw Unfuckwithable in person at SEMA in 2012. After all this time building these cars up in my head I was thrilled the car delivered in person on all fronts. After the show I honestly wondered if I’d ever get the chance again. Little did I know that shortly after that everything would change. 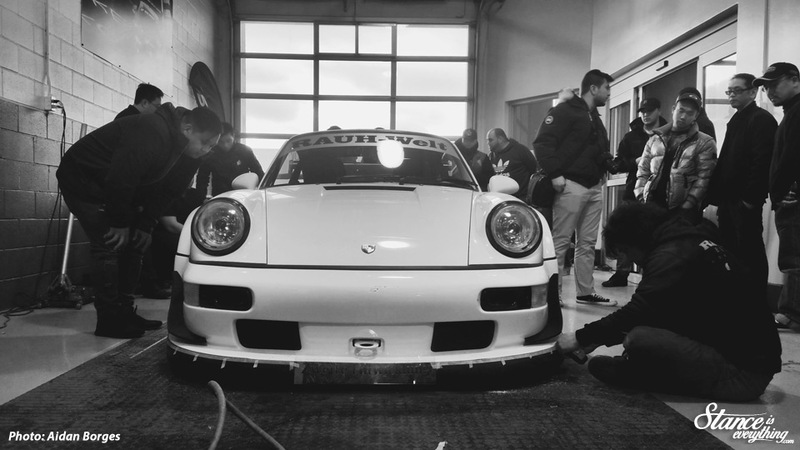 Nakai-san started building more of the cars in North America. He refined his process to keep up with the demand, and the cars became more refined to suit. In the process they lost their edge. The first RWB I saw and didn’t like was in 2014. It was too high, too clean, and for an RWB build it lacked the in your face attitude that was consistent in all the others. It was around this time that the cars had become not only a fashion statement but fairly common place. Not common place for everyone globally but at least online. There’s nothing wrong with cars that are fashion statements, plenty are, but few have transitioned from unattainable and mysterious, to tangible and revealed so quickly. Nakai-san is now essentially on call year round to build the cars for whoever is willing to foot the bill. In 2016 Nakai-san seemed to be in a constant state of travel. He stopped in Canada several times, both in Toronto and Vancouver, the United States and Thailand. According to SpeedHunters he built sixty in total for 2016, more than one a week. That’s an impressive, nay, damn near ridiculous number. So far in 2017 he finished three in Dubai, and another six in Australia. With at least one new car rolling out every month the peanut gallery has had their bag of peanuts topped up and is throwing them relentlessly. Further still they’ve had former members of the opposition join their ranks. There were always criticisms that Nakai was doing nothing original, but the more that his process is revealed the more people start to question the merit of his work. Will he ever change his designs drastically? Why does he free hand everything? Does he treat the metal after the cuts? Why does he act like hardware store silicone is some secret sauce? Does he realize the effect he is single handily having on the Porsche market? All questions I’ve seen recently. But despite these questions, and a growing number of people asking them, the demand for Nakai-san’s work has not faltered. The adage what goes up must come down seems not to apply here. People call it a fad, but how many years in does it take for something to not be acknowledged as a fad? How many cars need to be built for a style to be considered timeless? I recently read that Nakai himself doesn’t actually read, or care for, the internet. This means that there is still some purity in what he does. He modifies these cars because he genuinely wants to do it. Hopefully the critics can take some solace in the fact that underneath it all this is a man simply doing what he loves. Without getting to philosophical finding ones calling in life is difficult. Nakai-san is in the privileged position that not only has he found his, but he’s found a way to market it. The allure and mystery around RWB may have faded, but if the past seven years are any indication, Rough World is here to stay. 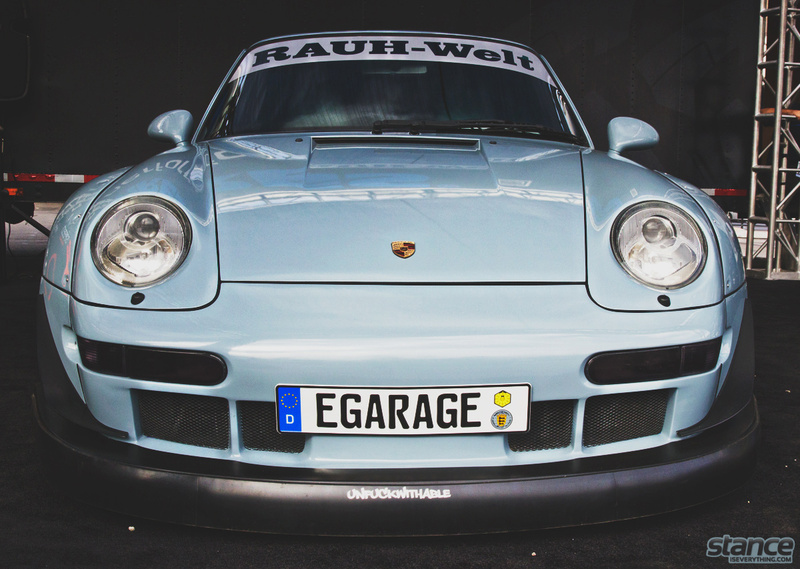 The first few raised an eyebrow for me, but once you’ve seen one RWB, you’ve seen them all. He’s no Magnus Walker or Singer, IMO. Success in the car customizing world stems from building what the customer wants. If he still has customers lined up around the block, then good for him. Milk it for what it’s worth, then disappear or change with the times. Like all fads, time will tell. Yep certainly can’t fault him for being in demand. We’d all love to be that lucky. The only one I saw in person was the same one you did, at SEMA 2014, and absolutely loved it. Sure it wasn’t as raw as Stella Artois but it had a presence, aggressive yet flowing with the original lines of the car.